← A Vermont Tangled Gift Certificate! In advance of our upcoming New England CZT gathering and “Tangle Hunt” here in southern Vermont this week I thought I’d do some advance pattern deconstruction. Ever since Rick and Maria came up with the Diva Dance tangles for Laura Harms’ 100th Diva Challenge last month, I’ve been fallen deep in love with the wonderful freeform lines and blips that make up the tangle and its variations. I have also gotten myself knee-deep into Pinterest, something I swore I would never touch, but needed to check out because a couple of my web clients were using it. I have since found Pinterest very useful to me for two specific things: 1/a visual bookmark place for art tutorials and recipes, and 2/ finding inspiration for future art work and tangling. Like most of us who have fallen deep into Zentangle practice, it’s easy to become a pattern junkie. 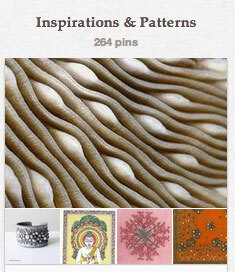 I love that I can pin patterns I find appealing for possible inspiration. And while I’m not always in the mood to do pattern deconstruction, it’s nice to know they’re there for later. And so it was when I found this pattern, not long after learning the Diva Dance tangles. It had some similiar qualities to the line auras and occasional random blips of dark, but different too… I had to try it! What you’re looking at is a pinned image, originally found at The Embo Journal, “a close-up view of the calcareous radiating septa of the mushroom coral Fungia fungites”. 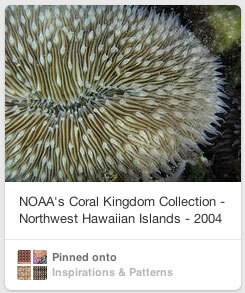 Note 07/15/14: The link that went directly to the image associated with the first pin above NO LONGER WORKS, so I found this image from the NOAA site as well as a similar image at The Sealife Center of a photo of mushroom coral. I loved the texture and movement in this photo as well as organic forms as pattern inspiration, and so last night I challenged myself to do some tangling with these forms, and play. “Si’weed” a tangle or tangleation? 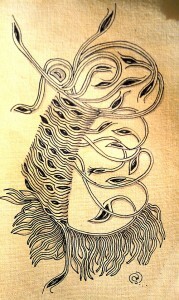 I took out my current (silk saree covered) tangling journal and just played with the lines. 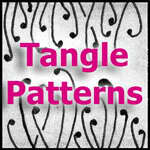 At first, I tried to recreate the pattern as a variation (“tangleation”) of the Diva Dance tangles. Then I tried to look more closely at the pattern construction and created a blade like line with a seed/bulb shape at the end, followed by a blank blade or stem like shape that is an aura of the first line. And then I just let it become independent, dangly bits that flow and flop over and under each other and outside my string. Too much fun! 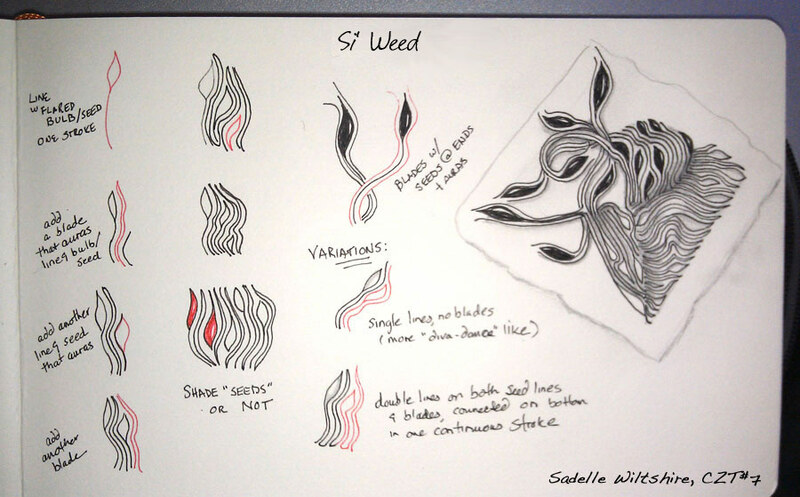 I decided to call it “Si’weed”… kinda reminds me of seeds and seaweed! There are lots of shading opportunities too… these are just a few I’ve tried: You can shade in between the blade lines, leave the seed shapes blank and shade parts of those. It’s also fun to create the pattern as one continuous line (see below). I can see that there are alot of ways to play with this pattern further, and perhaps I’ll do another piece that intertwines this pattern with the Diva Dance ones next. 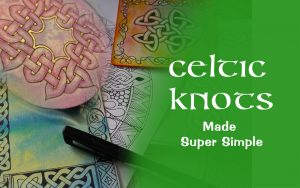 It’s funny, after tangling for a while it’s easy to start blending one tangle pattern with another and morphing the shape and flow so it’s hard to know where one leaves off and another begins. I don’t know whether to call this a true ‘tangle’ or just a ‘tangleation’, but whatever it is, I sure liked playing with it alot… would love to see what you do with it too! If you use this, post a link in the comments section below, or post it on our Facebook Page. 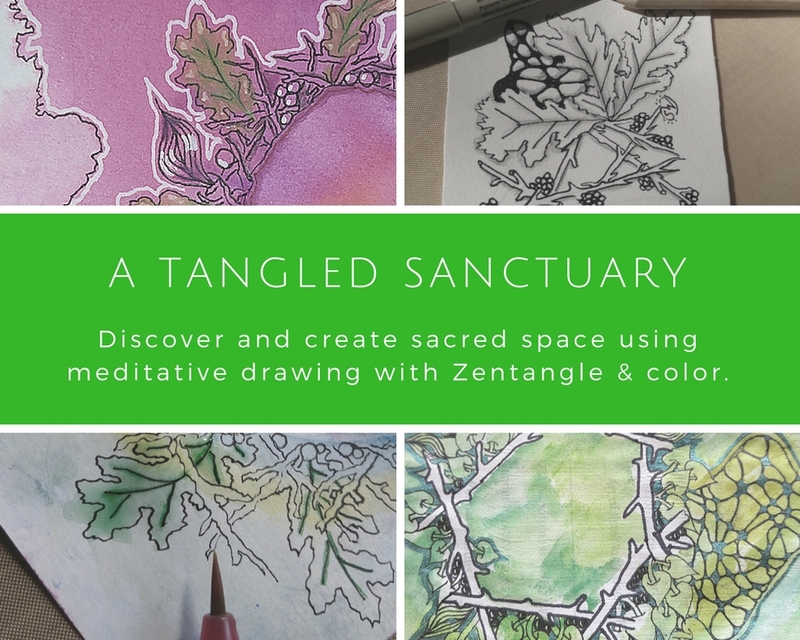 Happy Tangling and tangle deconstructing! 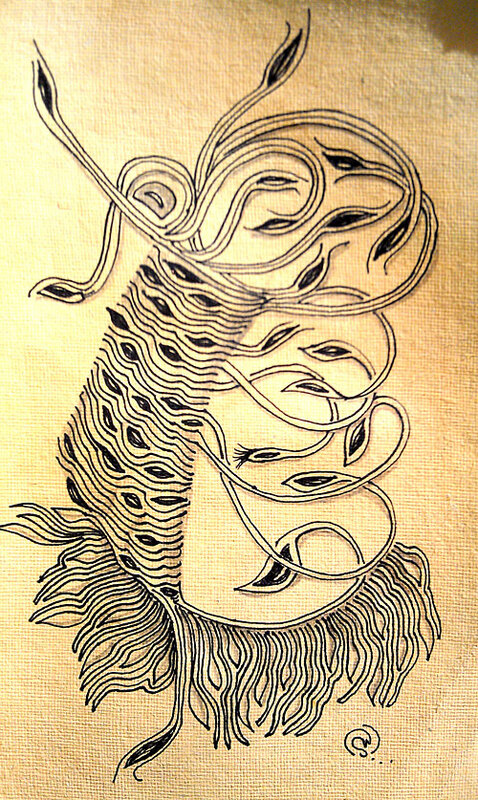 This entry was posted in Tangles, Zentangle® and tagged inspiration, nature, pattern, tangle, tangleation, tangles, Zentangle®. Bookmark the permalink. Wow! I’m going to try this today, after I finish some quilting with beeds, dishes, knitting, snow shoverling……lol. Thanks so much for showing how to make this one! LOL, Vickie, sounds like you have a full day there!